It increases the appetite and has one greater than another anabolic steroid effect. The active ingredient is boldenone undecylenate previously used in veterinary medicine as an appetite stimulant, therefore - a gain of muscle mass. 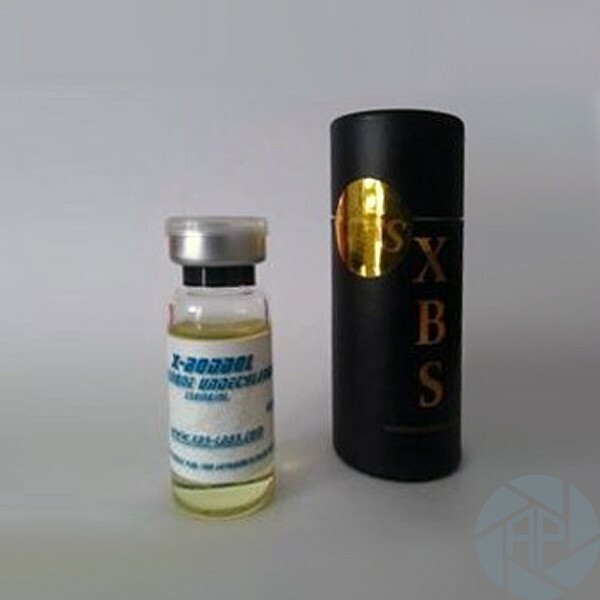 Agents are acting on the metabolism of proteins in the body, a fast injectable steroid. Promotes the balance of nitrogen, restores the changes in the proteins. It can affect the digestion of proteins increased in the athlete's body. Suitable for those that want to win mass muscle, the force and the weight of the body in its set. The functions that you confer the synthesis of proteins, the retention of nitrogen and increase them reserves of the glycogenolysis. Stimulates the kidneys to produce a hormone that enhances the number of red blood cells. Weight, in this case, the mass net of those muscles, of that when received not is filled with water. It effects not is as big as when is take Steroids Anabolic, the weight growing two times more slowly, but the result a complicated during much time. The effect also translates into an increase of nitrogen concentration and increase the effectiveness in the sport. Boldenone recommended dose is 400 mg in 7 days. To greater effect, you must have not less 600 and not more than 1000 mg in 7 days. Boldenone course has a duration of 12 weeks. Would recommend taking testosterone, Dianabol, Primobolan. It is not recommended to bend the dose used for longer than the specified period. Just before the start of the course, you need to consult a doctor. Should not be taken by women who are breastfeeding, pregnant and before conception, under the of 18 years. In the early days of admission, you must follow the reaction of the body; for each individual. This helps prevent side effects and allergies. Accept only the absence of contraindications and the sensitive individual. To judge by the critical claim that the drug is very high quality and efficient. It is ideal for all classes of athletes, from beginners to professionals. It goes well when taken with other medications. It allows you to gain muscle mass quickly. Not requires the Administration simultaneous of other drugs, as has the effect persists after the course. However, some are up to date with other drugs. Suitable for a complex course with other agents, antiestrogens, when used correctly, it does not promote the occurrence of side effects. Only in cases of overdose. Does not cause side effects such as skin rashes and acne, as the fluid in the body is not delayed. Used in preparation for the competitions. It is not suitable for drying, as an enormous appetite wakes up during the course. Between them is found: the fall of the hair, the growth of the hair in the face and the body, the aggression, the increase of the hostility, disorders of the tract gastrointestinal (vomiting, flatulence). Only this toxic effect on the liver, the kidneys, and the cardiovascular system. It can cause skin rashes, acne in the body (in the case of overdose).